tide algae bloom has now reached Fort Lauderdale on the eastern coast of Florida, the algae bloom now stretches from Navarre beach west of Panama City in the Gulf of Mexico all the way down the west coast of Florida and around the southern tip of the panhandle to Fort Lauderdale on the eastern coast. 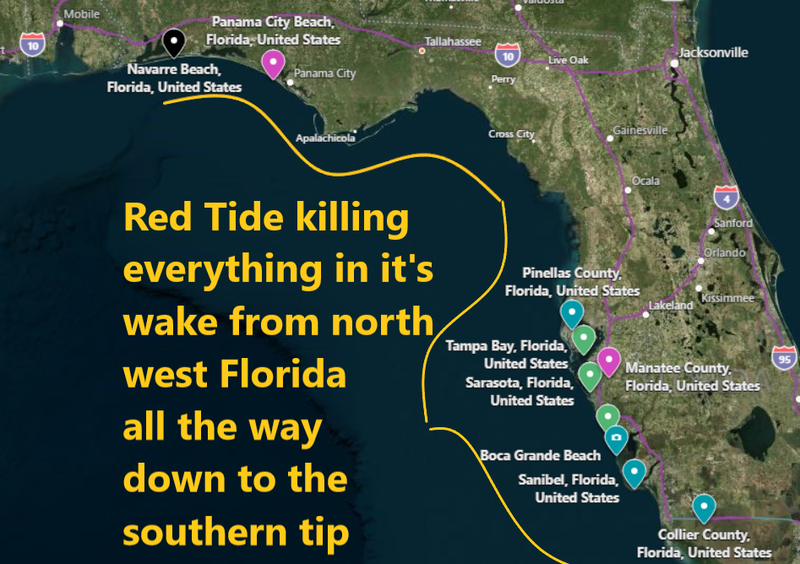 Meanwhile, Panama City Herald reports, crews might need until the end of Friday to unclog Mexico Beach Canal of fish likely killed by a toxic red tide algae bloom on Tuesday. 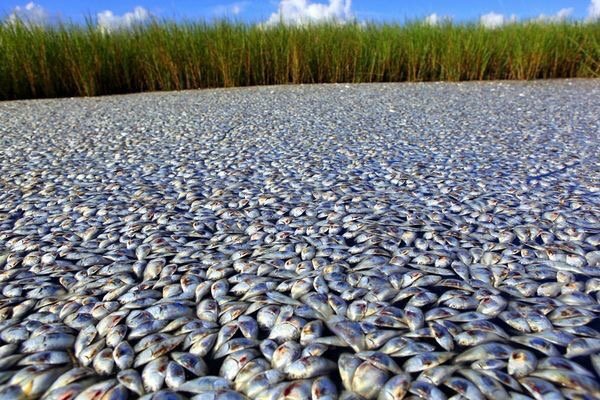 “They were all crawling out because I guess they couldn't breathe in the water,” Norris said. “Then they were dying on the beach." "The sheer amount of them was pretty amazing."